It’s been happening for years. 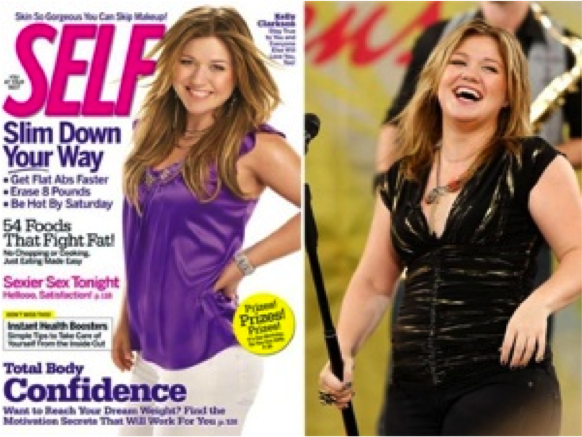 Take Kelly Clarkson for example; in 2009 she posed for the front cover of Self magazine, which promotes nutrition health and advice. She showed off her ‘new slim body,’ which was a noticeable difference from her fuller figure in previous years. However, a few days after the magazine was released, Kelly appeared on Good Morning America, and she didn’t exactly look the same. Even though the magazine is meant to promote body confidence, as said on their cover, the magazine had slimmed down the image so make her look a lot thinner than she was. Of course, her body still looked great, but Self magazine thought she needed some touching up. A quick pop to the shops, looking though a magazine, or sitting in your room on Tumblr; the pressure to be slim is everywhere. Magazines are full of fad diets and slim models, and it just makes you think ‘why am I not allowed to look the way I want?’ The first thing I notice when I look down the magazine isle is the front covers full of gorgeous, slim, edited women. It’s examples such as those that are the reason that the ‘everyday woman’ feels the pressure to look the new sense of normal. Mothers who gain weight during pregnancy compare themselves to Kim Kardashian West; a gorgeous celebrity who was slated for gaining weight whilst pregnant in 2013. What’s your idea of a ‘healthy body?’ Does it look like the top or bottom image? Both were released in the same year, but both show different versions of women. It’s not just women that are affected; men and children are too. January 2015 was the month Justin Biebers photo-shoot with Calvin Klein was released. It was later revealed that almost every part of his body was photoshopped. His chest, arms, and even bulge were enhanced, making him look more muscular. 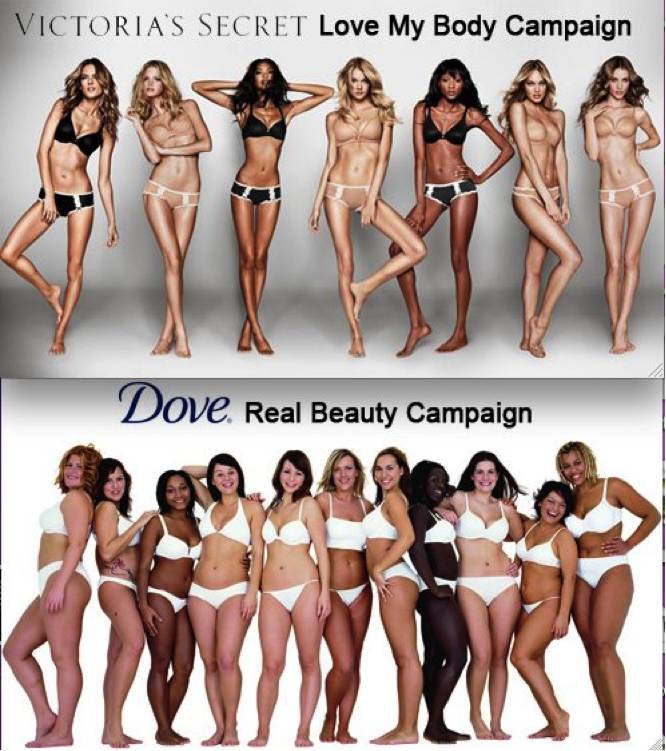 It's your decision how you view your body, or what your idea of the perfect body is.